Dora Schriro, the new head of the Connecticut state police, tells residents there will be no door-to-door gun confiscations arising from the state’s new gun law. So you created a law you don’t intend to enforce? RIGHT! Many parts have already gone into effect, yet hundreds of thousands of residents have yet to comply, turning them all into felons overnight. By April 1st, anyone wanting to buy a long gun must get a special certificate from state police. 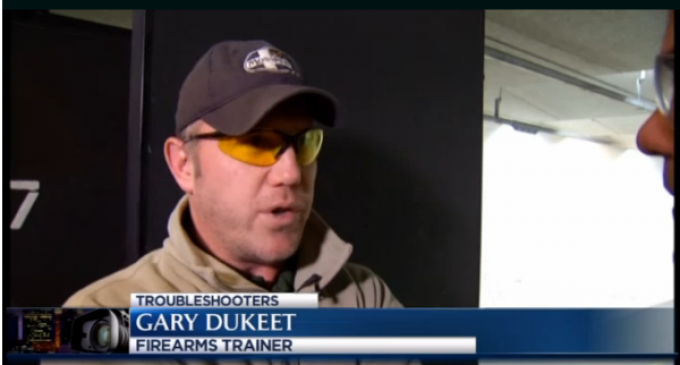 Gary Dukeet, a firearms trainer in CT, states that his gun store is ‘standing room only’ on the weekends and demand for private lessons has skyrocketed. Mrs. Schriro, I don’t think residents believe you. watch his lips move…he’s lying!!! Is this another one of those you can keep you Dr. and insurance jokes. So Dora, the Gov. says go and you say No Sir, right. YES YES YES, Unconstitutional laws are not or will they ever be laws, cause it is unlawful. This is the US, and our country is massed on the constitution. YES Finally getting it right.. Someone actually reading the constitution.